Kronos Quartet flashes its revolutionary approach to string repertoire while a pair of drummers share their Grammy Award-winning rhythms as headliners on Lawrence University’s 2014-15 Performing Arts Series. The acclaimed Kronos Quartet — John Sherba, Sunny Yang, Hank Dutt and David Harrington — closes the Artist Series May 15, 2015. Subscriptions for both the Artist and Jazz series are now on sale. Subscribers may choose from either series or a “Favorite 4” package, with discounts available to senior citizens and students. Single-concert tickets go on sale Sept. 17, 2014. For more information, contact the Lawrence Box Office, 920-832-6749 or boxoffice@lawrence.edu. All concerts are held in the Lawrence Memorial Chapel. Founded in 1973 by violinist David Harrington, Kronos Quartet closes the four-concert Artist Series on a high note Friday, May 15, 2015, performing new works by some of the country’s most celebrated contemporary composers. 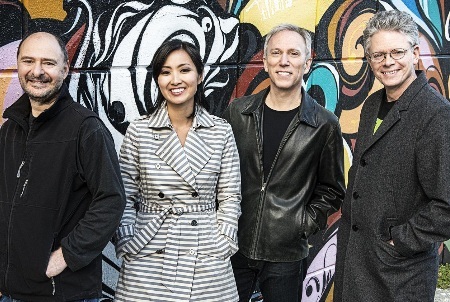 During a celebrated career spanning four decades, the Kronos Quartet—Harrington, John Sherba (violin), Hank Dutt (viola) and Sunny Yang (cello) — firmly has established itself as one the most influential groups of this generation. With a discography totaling more than 50 recordings and 2.5 million in recording sales, Kronos has combined fearless exploration with an unwavering commitment to expand the range and context of the string quartet. Among the San Francisco-based quartet’s many honors are a 2004 Grammy for Best Chamber Music Performance and 2003 Musicians of the Year honors from Musical America. The chamber music trio of cellist David Finckel, pianist Wu Han and violinist Phillip Setzer opens the Artist Series Friday, Oct. 17. Individually, each has enjoyed stellar musical careers. Finckel and Han, Musical America’s 2012 Musicians of the Year, have served as artistic directors of The Chamber Music Society of Lincoln Center since 2004. Setzer, founding and current member of the acclaimed Emerson String Quartet, has appeared with leading symphony orchestras around the country, including the National Symphony, the Cleveland Orchestra and the Aspen Chamber Symphony, among others. 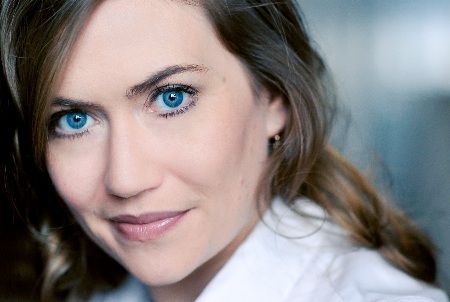 Soprano Heidi Stober ’00 performs on the Artist Series March 13, 2015. She also has sung Pamina for the Metropolitan Opera, Nannetta in “Falstaff” for the San Francisco Opera, Ada in the world premiere of Theodore Morrison’s “Oscar” for the Santa Fe Opera and Musetta in a new production of Puccini’s “La bohème” at the Houston Grand Opera. Melding the energy of rock music with the precision and nuance of classical chamber works, Third Coast Percussion visits the Memorial Chapel on Saturday, April 11, 2015. Employing an impressive array of instruments, Third Coast Percussion explores and expands the extraordinary sonic possibilities of the percussion repertoire, delivering a unique audience experience. Founded in 2005, the quartet champions the music of John Cage, Steve Reich, George Crumb and others. A pair of Grammy Award-winning drummers — Terri Lyne Carrington and Peter Erskine — kick off the Jazz Series, sharing the spotlight Nov. 7-8, respectively, for Lawrence’s 34th annual Jazz Celebration Weekend. Carrington opens Jazz Celebration Weekend with a big-band tribute to her 2011 Grammy-Award winning album “The Mosaic Project.” She’ll be joined on stage by pianist Geri Allen, singer Lizz Wright and trumpeter Ingrid Jenson, who previously performed at Jazz Celebration Weekend in 2008. 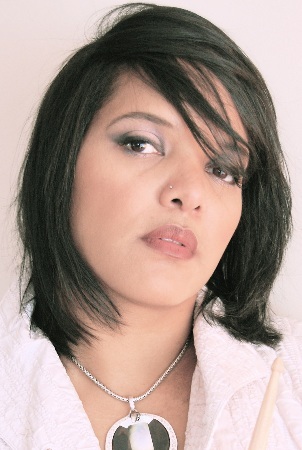 Carrington honed her jazz chops during 20-plus years of touring with jazz greats Herbie Hancock, Wayne Shorter, Al Jarreau, Stan Getz, David Sanborn, Clark Terry, among others. Erskine, who began playing drums at the age of four, has been at the forefront of world-class jazz ensembles for more than 40 years, starting with Stan Kenton’s band in 1972. He’s also played and recorded with Maynard Ferguson, Weather Report, the Brecker Brothers, the Yellowjackets, Chick Corea and a host of others. His recording credits include an astonishing 500 albums with artists ranging from Diana Krall and Pat Metheny to Steely Dan and Joe Henderson as well as 10 solo albums. He’s been recognized 10 times in the jazz drummer category by Modern Drummer magazine’s annual Readers’ Poll. Robert Glasper performs on the Jazz Series Jan. 30, 2015. 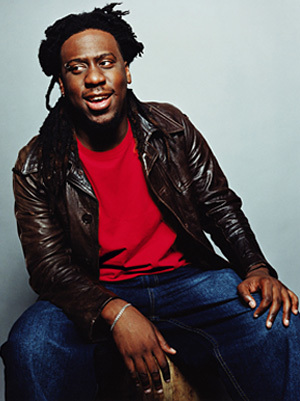 Pianist Robert Glasper shares his unique brand of jazz/hip-hop/R&B in a Jazz Series concert Friday, January 30, 2015. A native of Houston, his accessible melodies, tumultuous beats and bright lyricism has been compared to jazz icons Herbie Hancock and Chick Corea. He will be joined by his electric band — Chris Dave (drums), Derrick Hodge (electric bass) and Casey Benjamin (saxophone, vocoder). Glasper’s 2012 disc, “Black Radio,” which blurred the lines of jazz, hip-hop, R&B and rock & roll, entered the Billboard jazz charts at number one. While Cowherd’s instrumental work has been featured on albums spanning artists as diverse as Iggy Pop, Rosanne Cash, Marc Cohn and Victoria Williams, 2012’s “Mercy” is his first album under his name. “Mercy” is compelling evidence of Cowherd’s remarkable sensitivity, inventiveness and versatility as both composer and musician.